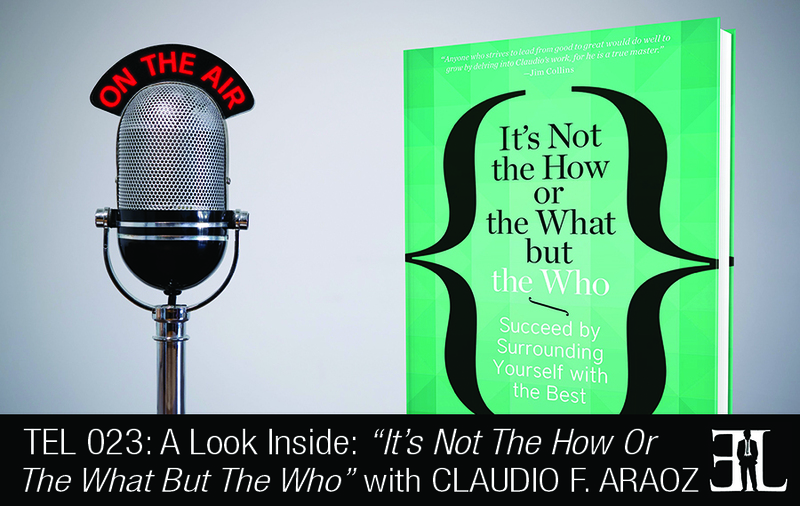 In his book, It’s Not the How or the What but the Who, Fernandez-Araoz makes the reader aware that we are not yet equipped with the knowledge to make positive people decisions in professional environments. Simply put, it is the who that matters in the team you build around you. I think it’s a unique combination of experience, research and passion for the topic. It can be read separately but also independently. It’s also for ADD type of readers with it being a short read and you get some practical recommendations on how to achieve greatness. The point that whoever you surround yourself with should not be left to chance. The format is very engaging and made up of four short chapters. It starts with an introduction, moves on to the four chapters and ends with a conclusion. Each of which start with a fascinating personal story and I come up with five practical recommendations on how to succeed by surrounding ourselves with the best. The first section starts with The Enemy within. All of these biases that we have inside of us sabotage our people relationships. We are unprepared to make great decisions because unfortunately we have the wrong brain. Our brain is basically a piece of hardware that didn’t have any major upgrade for the last 10,000 years. We made it to these days by making our big decisions based on three criteria, similarities, familiarity and conflict. Unfortunately these types of criteria are not what we need today to be great teams. Great teams need complementary skills which imply variety and diversity which are the opposite of similarity and familiarity. We are hardwired to make world decisions therefore I make the reader aware of all these biases because if you can avoid the traps, you have won half of the battle. The second section is entitled Outside Obstacles and Opportunities and here I summarize many of the challenges we face when making big decisions. One of the chapters I label Bad Candidate, Great Reference. I describe the problems when people afraid of being sued sometimes sugarcoat their references. I illustrate what the best practices to getting references right because references are more important than an interview. The third section continues telescoping out to the right people and I describe what the right people are made of. I introduce the concept of potential and I tell a story of a survivor of a dramatic accident back in 1972. In this chapter I describe what the indications of potential are and how you can relate with them. In part four I move from the great people to the bright future. In the essay titled Teaching a Turkey to Climb a Tree I explain how some people say that you can train a turkey to climb a tree but they would rather hire someone else to do it. Organizations do frequently hire from outside and they should invest many more resources in identifying their high potentials and helping the best become even better. I am convinced that we can change, advance and progress much more than we think. In the fifth section of the book I move from individual greatness to collective greatness. Many times I have been approached by a human resources leader contacting me for research and when he or she would start going through the list of specifications it looked impossible for anyone. You cannot get the perfect individuals; you should be able to make the best of your individuals by setting up highly effective teams. In this section I introduce the six dimensions for team effectiveness which are balance, diversity of skills, alinement, energy, resilience, openness and effectiveness. I explain how different challenges require different think compositions and I explain how to achieve this. In the sixth section I move from collective greatness at a team level to a better society with applications of all of the above at the highest levels. I speak about Russian roulette at the top, true leading boards and then thriving on crisis. I also speak about sustainability-the virtuous circles and electing country presidents. I am a global expert on hiring promotion decisions as well as leadership assessment and development. I’m a frequent speaker at business gatherings in the Americas, Europe and Asia. I’ve been working for almost three decades as an executive search consultant for the firm Egon Zehnder and a regular guest lecturer at Harvard Business School. For almost three decades I’ve been working as an executive search consultant and seven years ago I published another book called Great People Decisions. Great People Decisions was basically about hiring and as a result of the success of that book I’ve circled the world up to ten times a year and became convinced that all over the world the key for organization and success is to surround ourselves with the best. I decided to write a book about how to succeed by surrounding ourselves with the best and helping them thrive.